The main trend is still bearish. The price faced a support at 1.0600, so there’s a developing upward correction. Nevertheless, the market is likely going to reach the next support at 1.0571 in the short term. If a pullback from this level happens, we should keep an eye on the nearest resistance at 1.0655 as an intraday bullish target. The price is testing the downtrend, which is likely going to be broken in the coming hours. 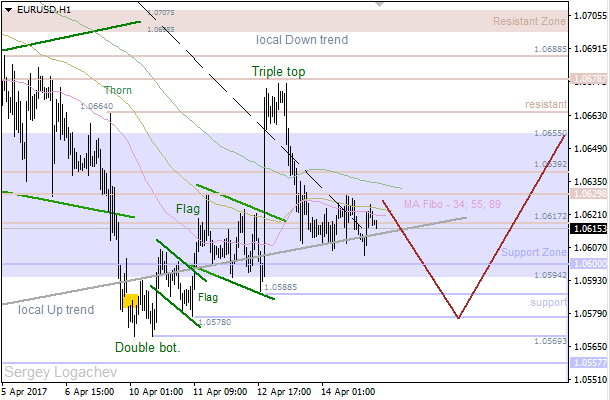 So, the main intraday target is a support at 1.0588 – 1.0578. 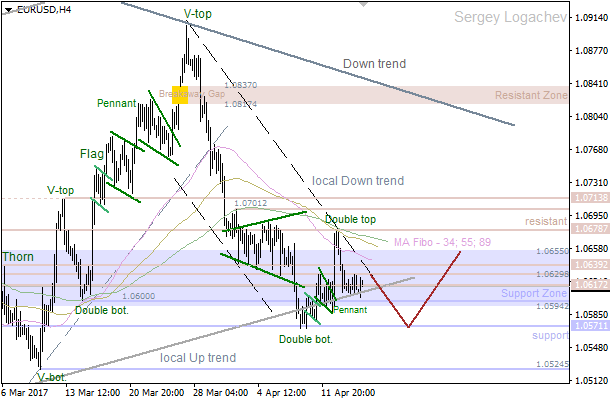 If we see a pullback from these levels, bulls will probably try to achieve the closest resistance at 1.0594 – 1.0655.